Welp, nobody can say that this particular alleged criminal didn’t take advantage of an opportunity. KSAT in Texas reports on the story of a 19-year-old who showed up late for his first day of work at a McDonald’s, and was subequently sent home. While he was waiting for his ride, says KSAT, he asked a lot of questions about security cameras and protocol related to robberies. After getting picked up by his twin brother, the two then headed to a nearby McDonald’s, where the still-uniformed tardy employee walked right in, saying he was sent from another branch to help. When a manager requested that he fill out some paperwork, he pulled out a handgun, according to court documents, and robbed the store safe of $1,500. 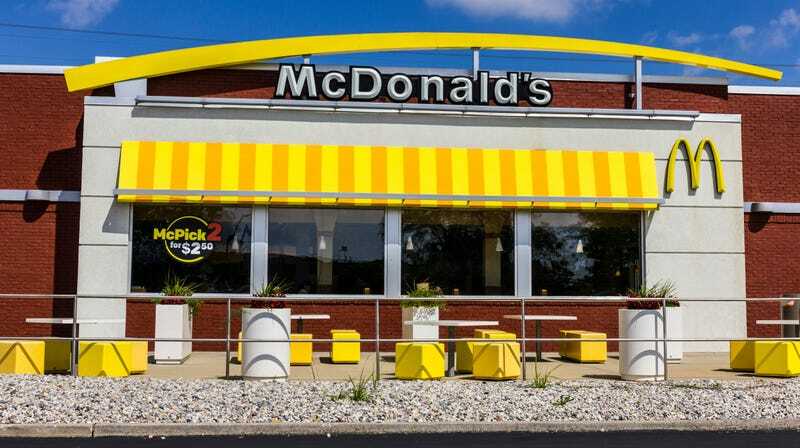 When local McDonald’s managers reviewed the security footage, one of them recognized the robber as the worker who had been sent home from the nearby branch. Turns out his brother was a five-year McDonald’s employee as well. The police then tracked the duo’s car, resulting in a car crash, and authorities arrested the two errant McDonald’s employees who were charged with aggravated assault with a deadly weapon, evading arrest, assault causing bodily injury, and aggravated robbery.